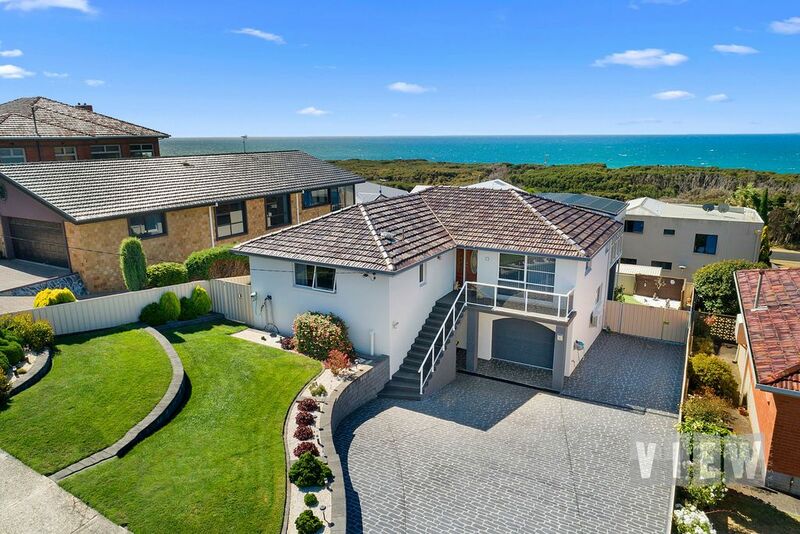 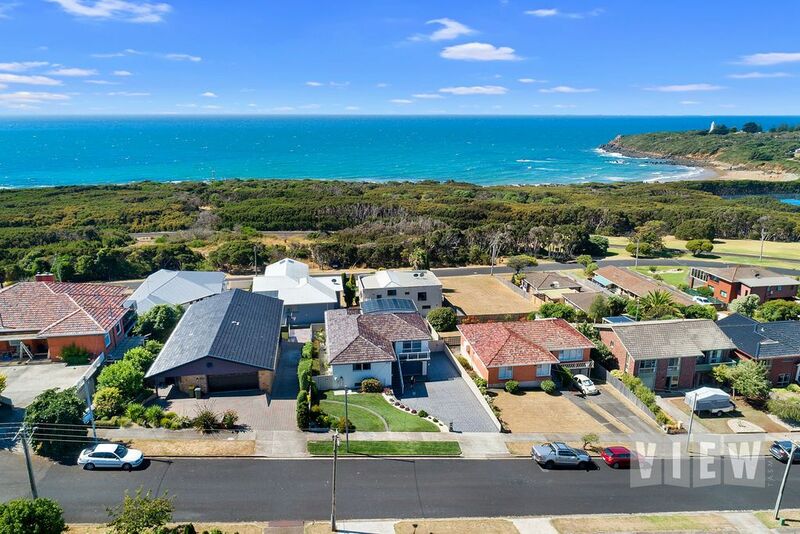 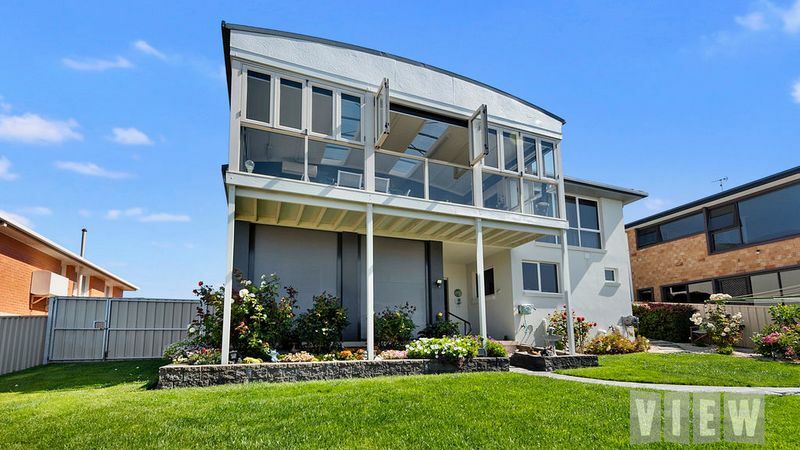 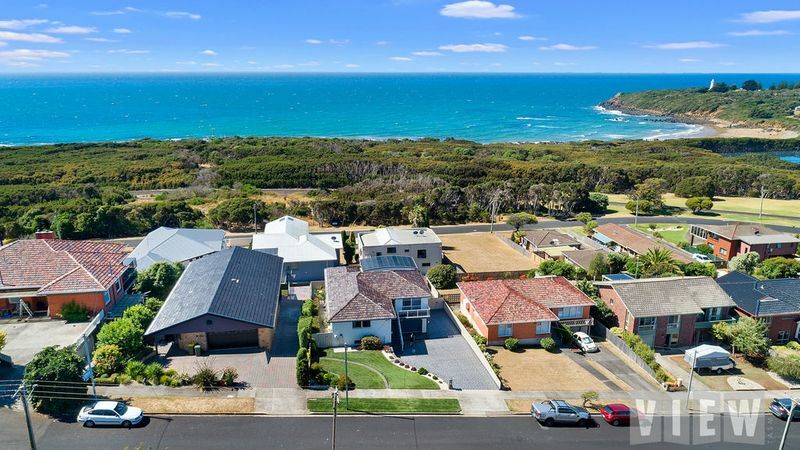 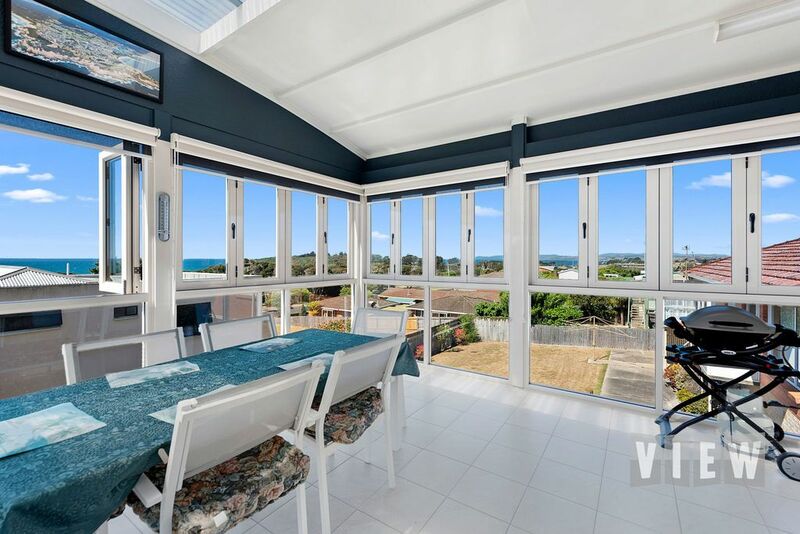 Sitting proudly in one of Devonport’s finest locations, this contemporary home offers it’s new owners an easy living lifestyle. 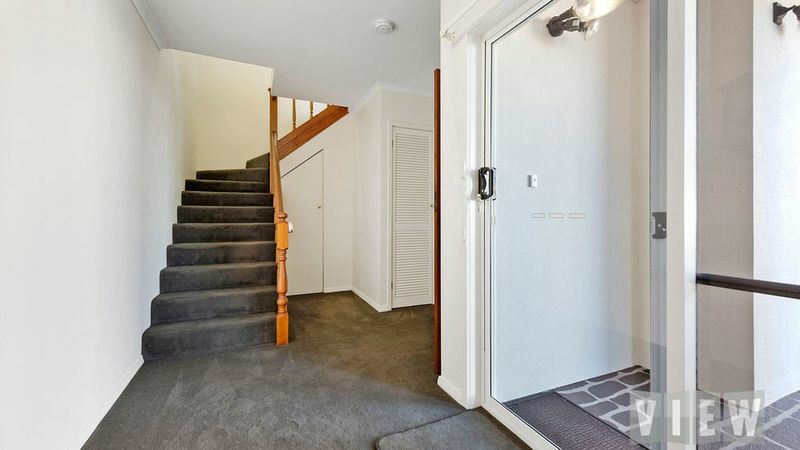 Built in 1975, the home has been lovingly renovated throughout and offers a family friendly floor plan, neutral colour scheme and modern décor. 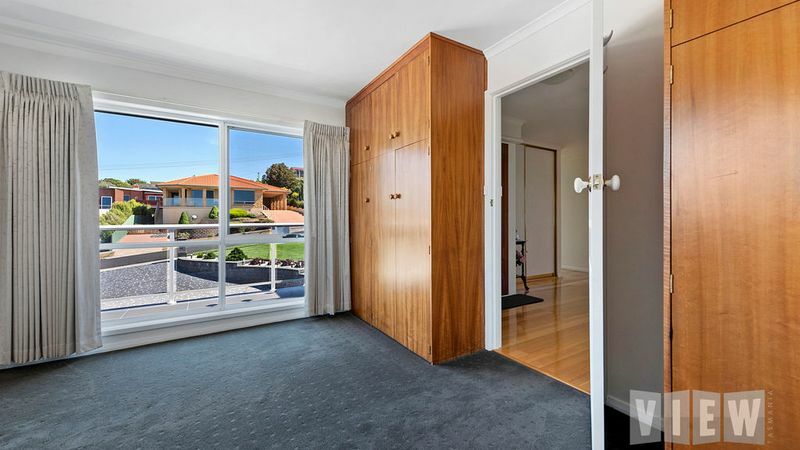 Natural sunlight is a welcomed visitor and adds to its appeal. 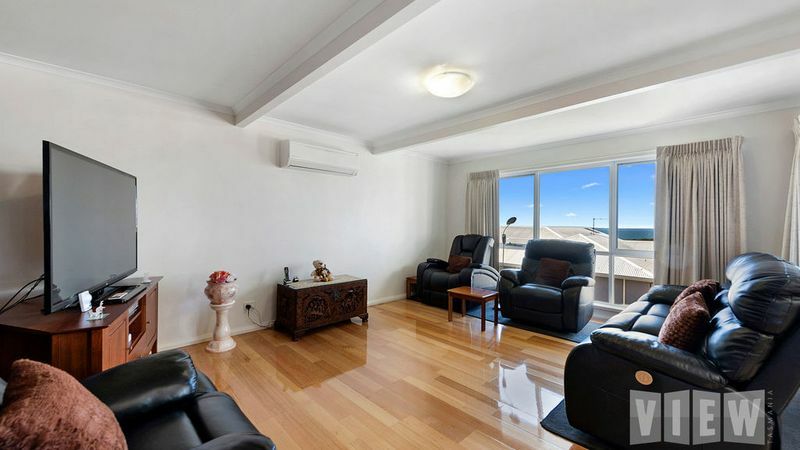 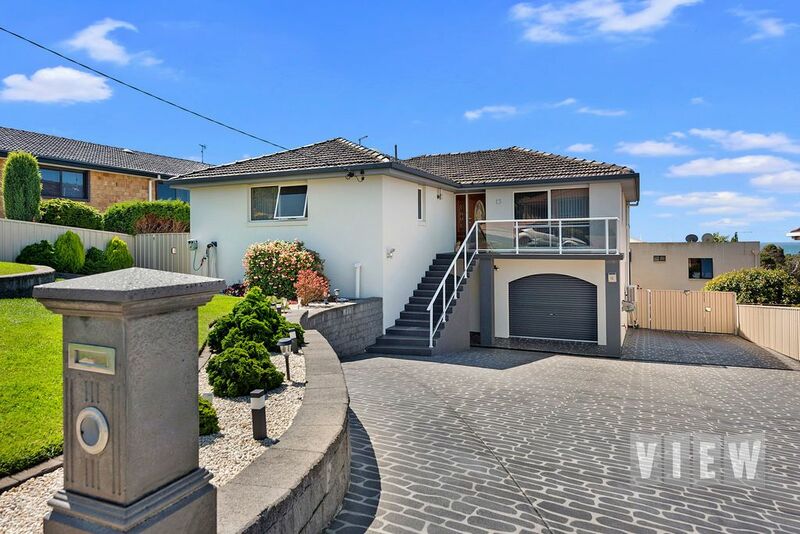 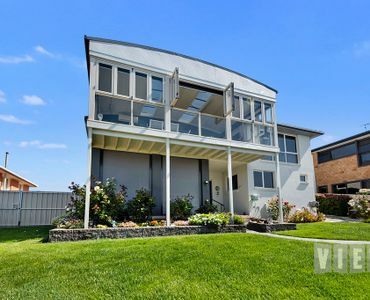 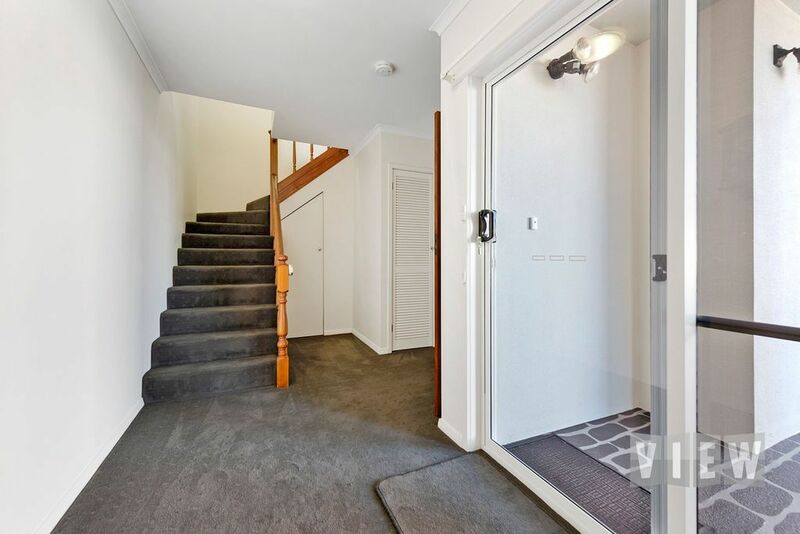 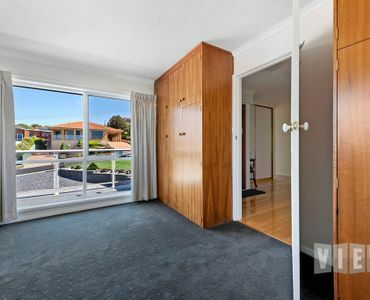 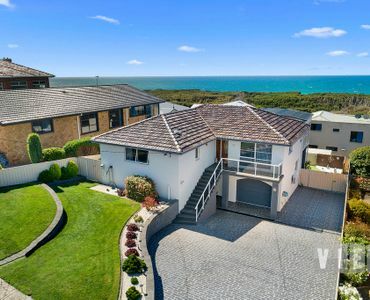 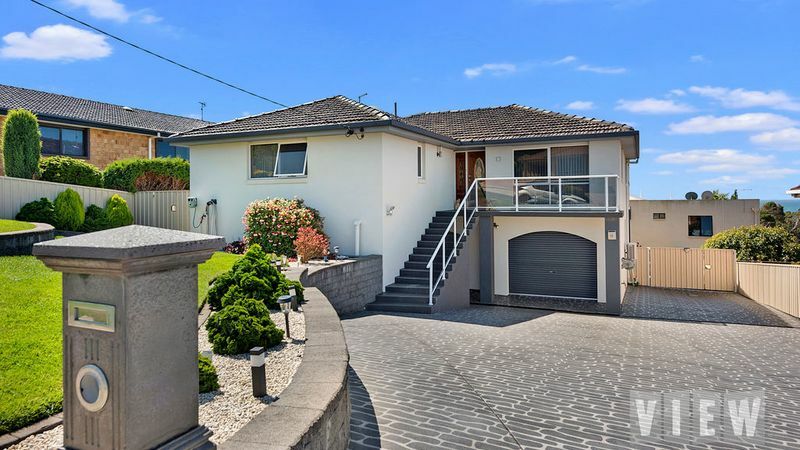 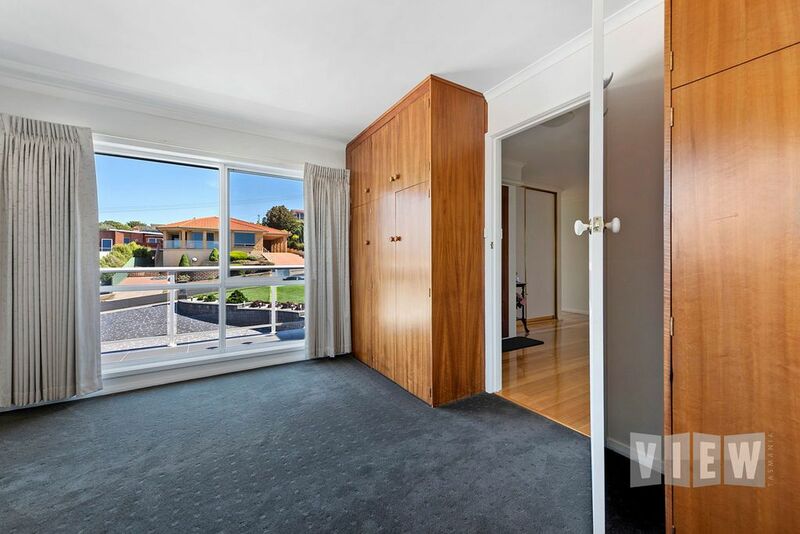 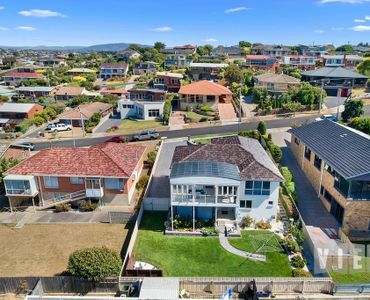 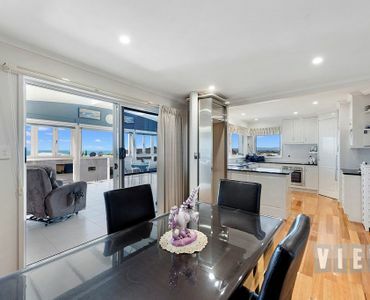 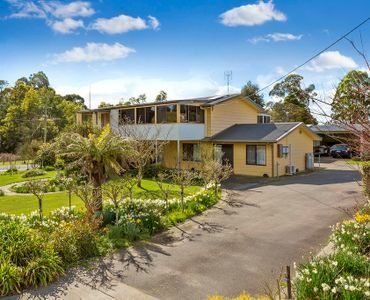 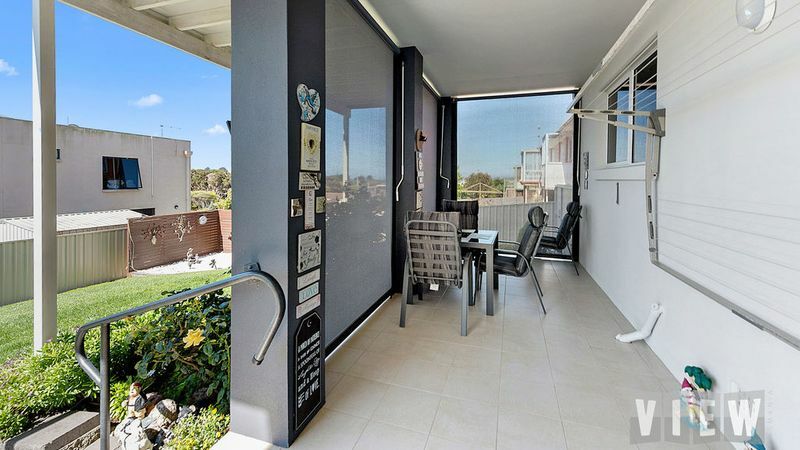 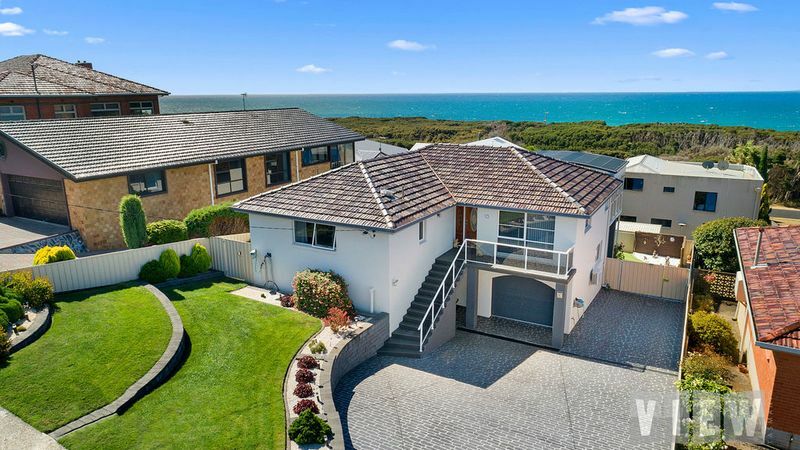 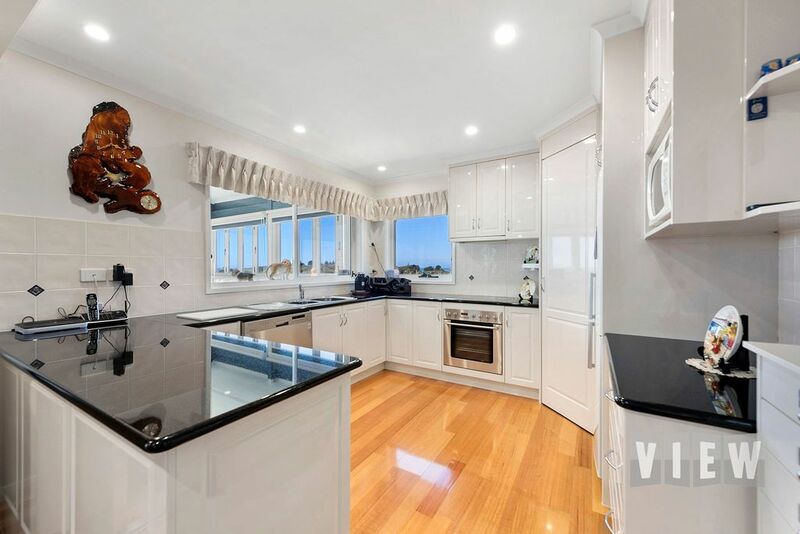 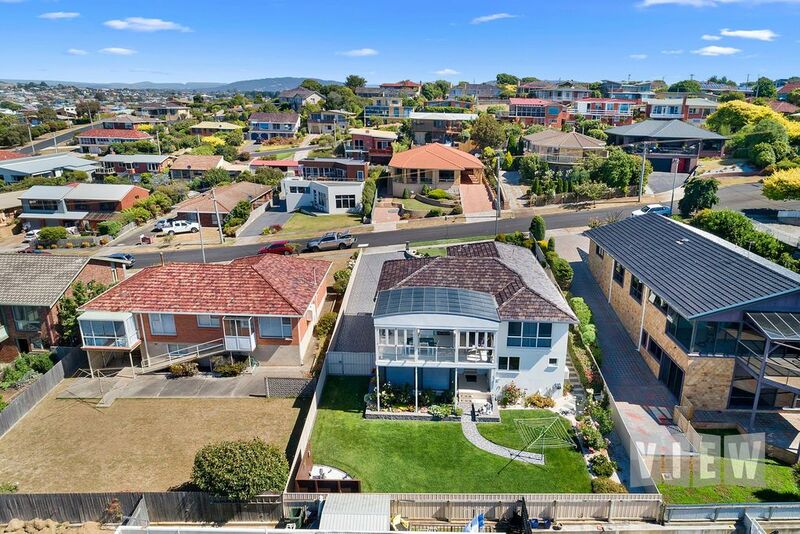 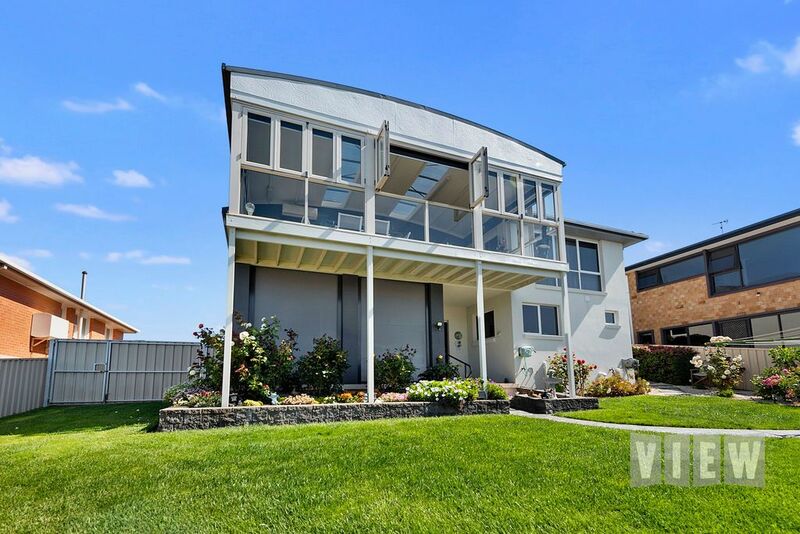 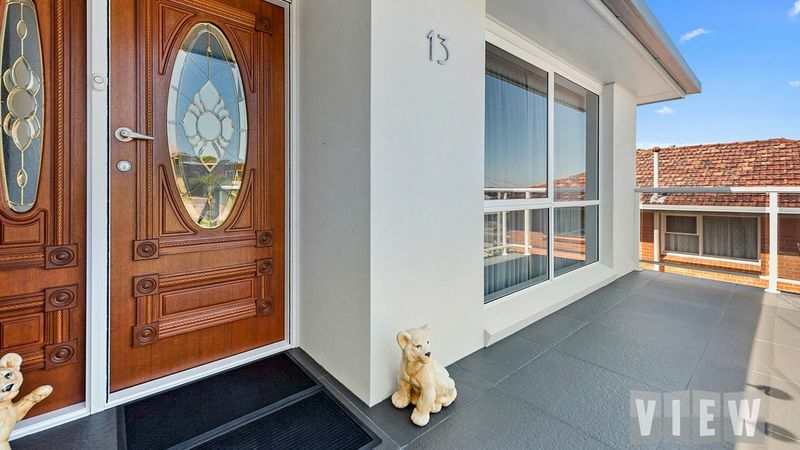 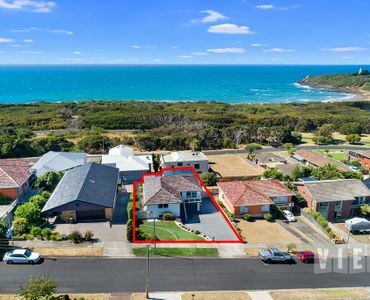 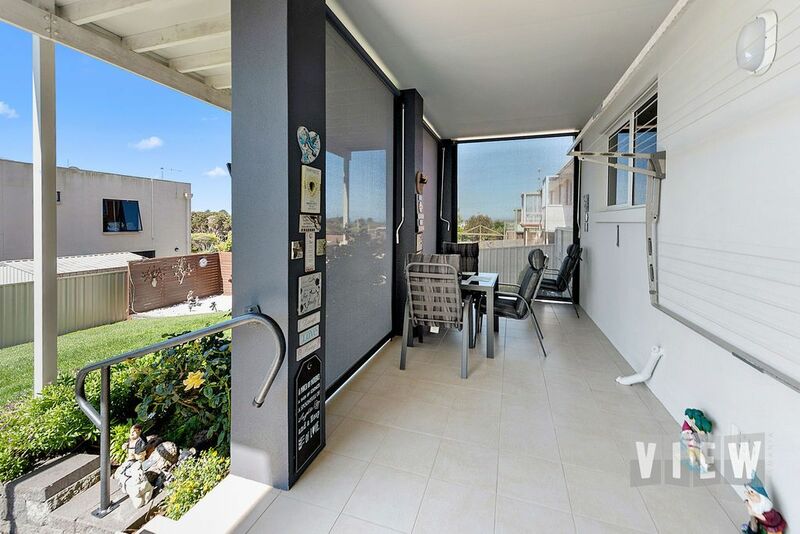 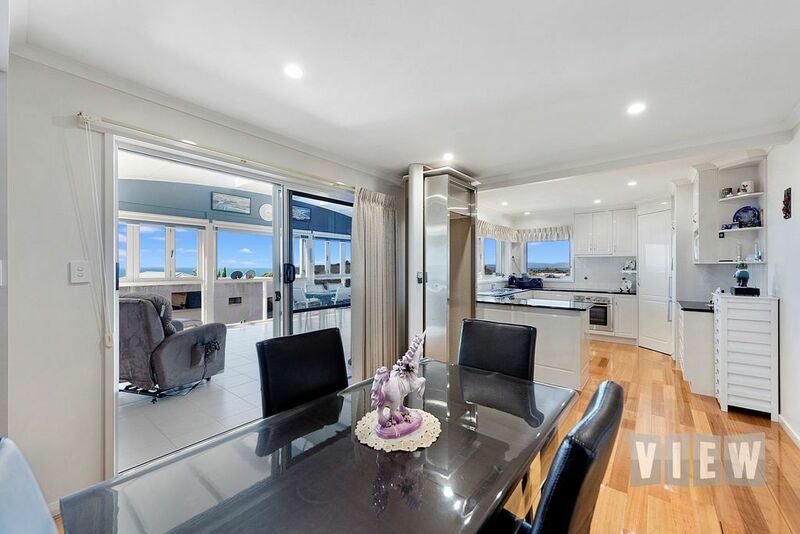 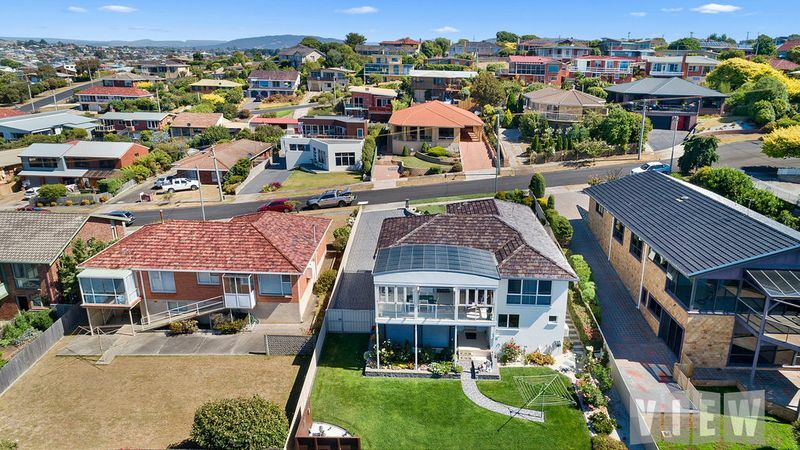 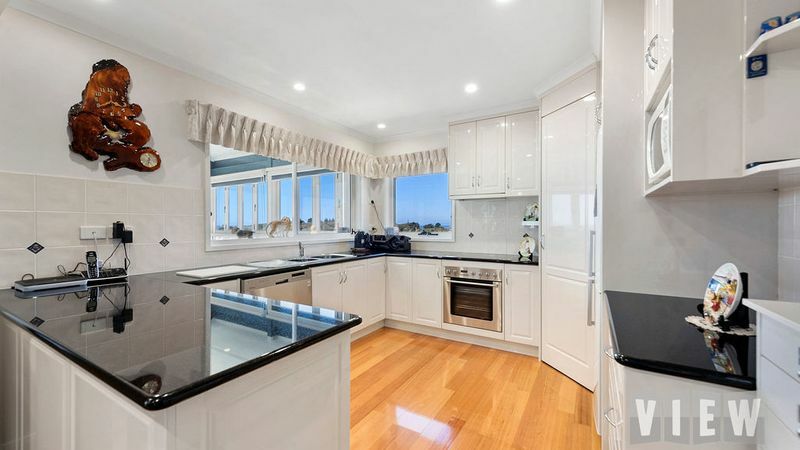 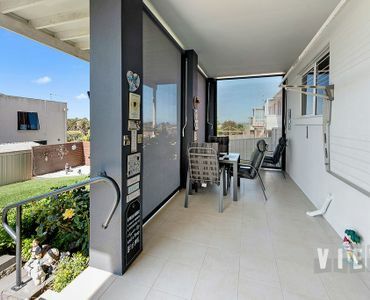 Spread over two levels this double storey home boasts a welcoming entrance along the pattern concrete driveway up to the glass balustrade balcony to the front door. 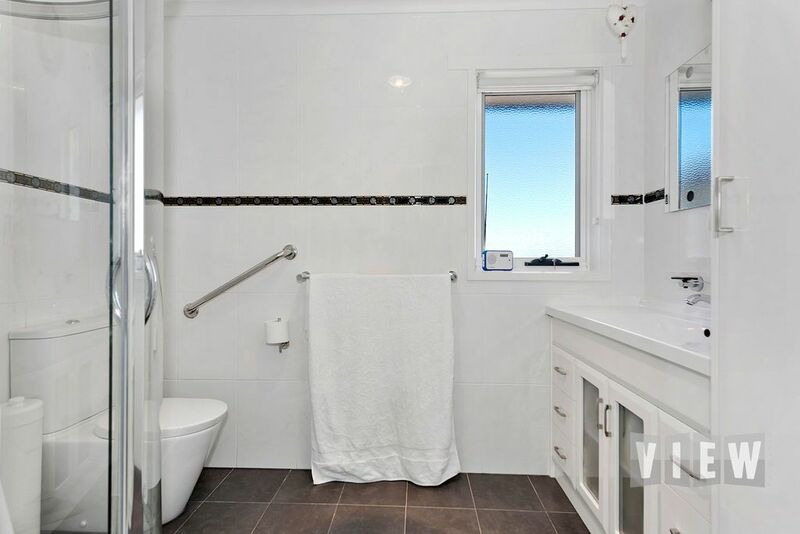 The first floor offers three bedrooms all with built-ins, master with walk-in-robe and ensuite, main bathroom and separate toilet. 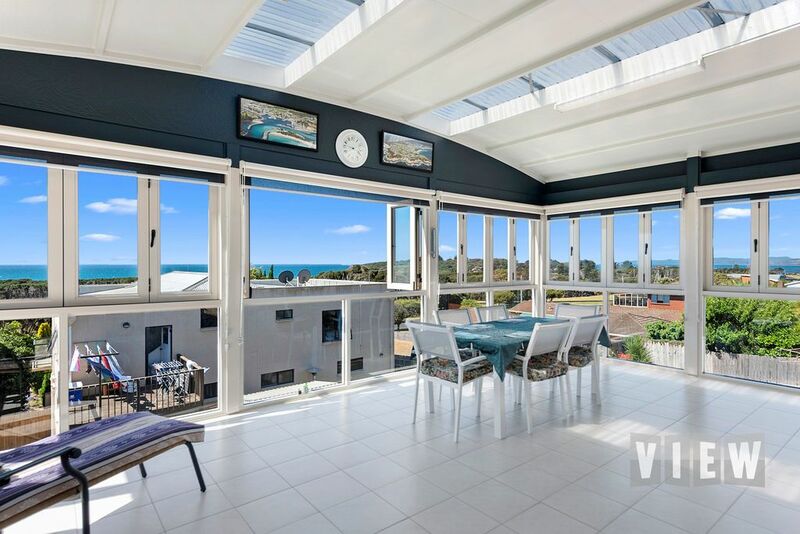 The main living area is north facing has sea views and is open plan with kitchen/dining and lounge all included. 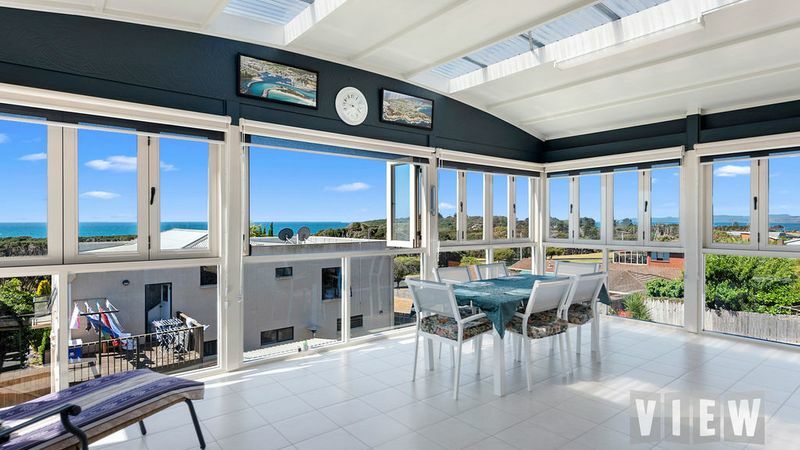 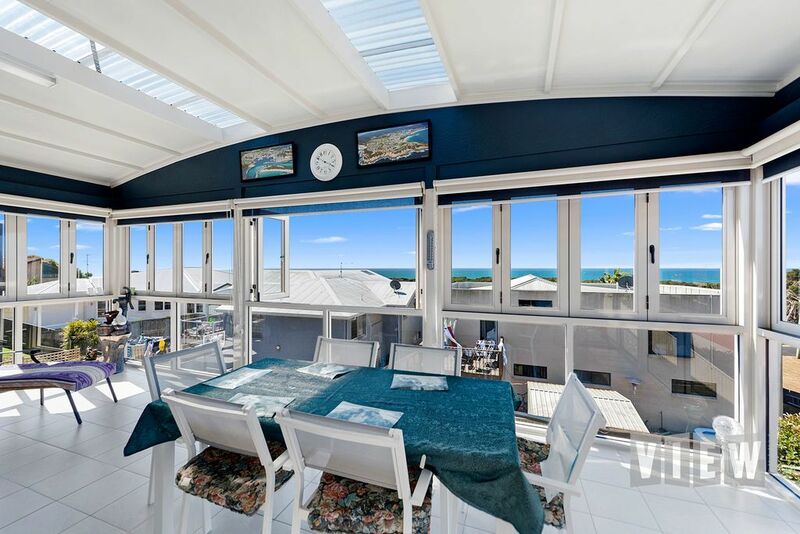 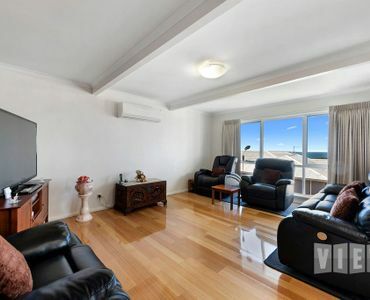 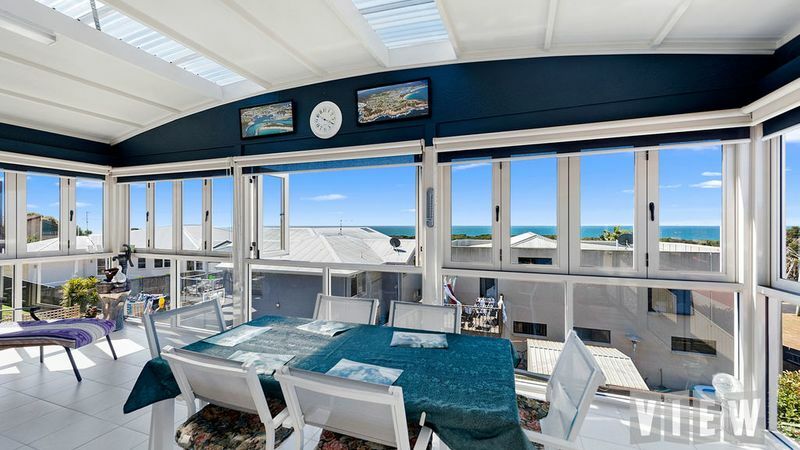 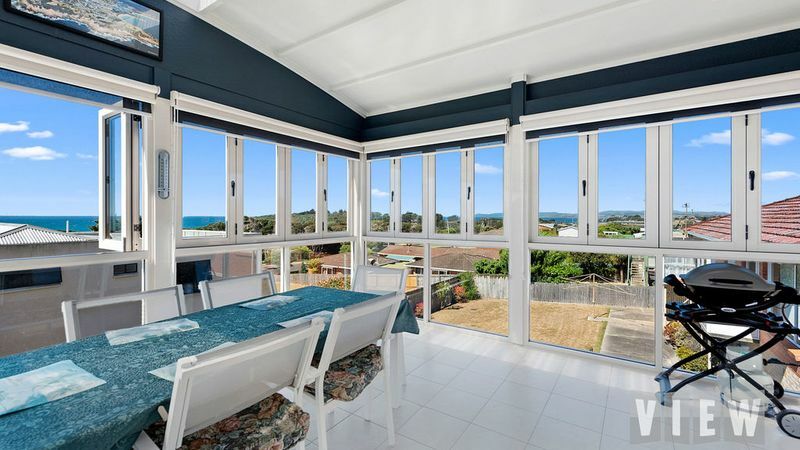 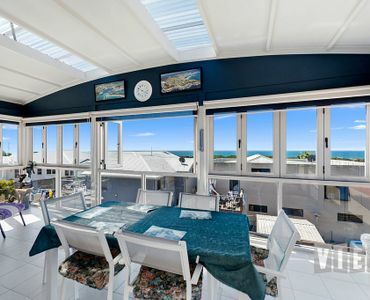 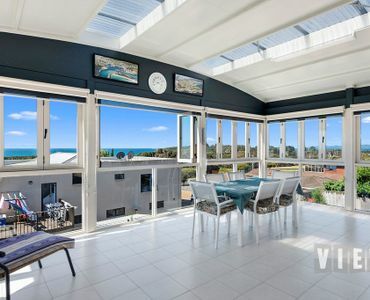 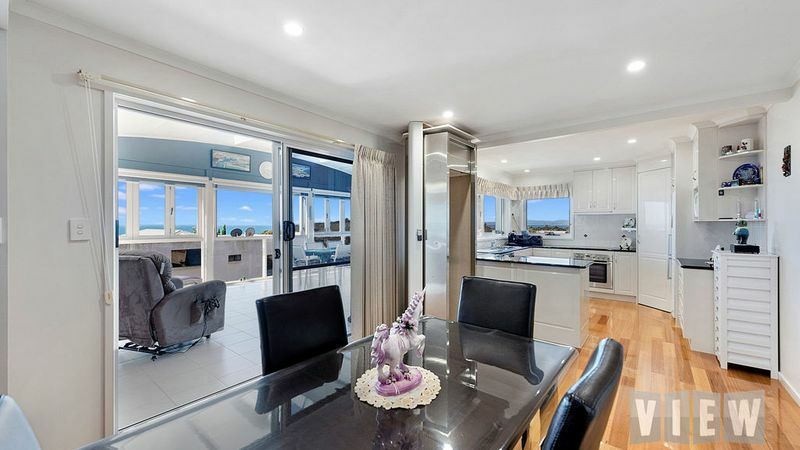 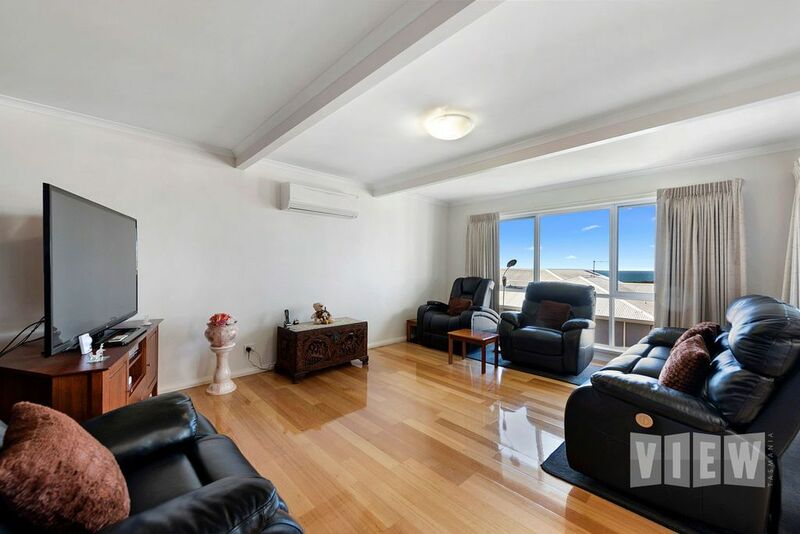 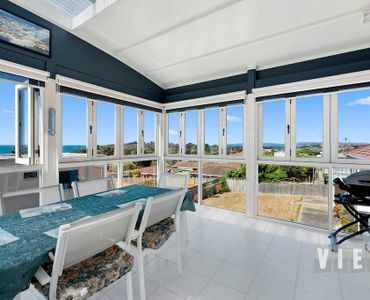 A special mention is needed for the all year round sunroom/entertainment area, this tiled area offers floor to ceiling windows, the top half has stacker windows taking full advantage of the weather and the spectacular views of the coast line and out to sea. 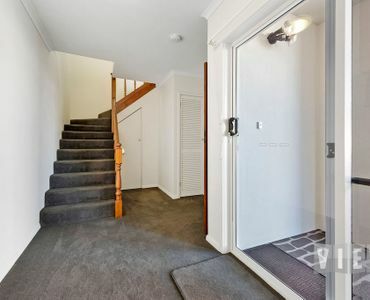 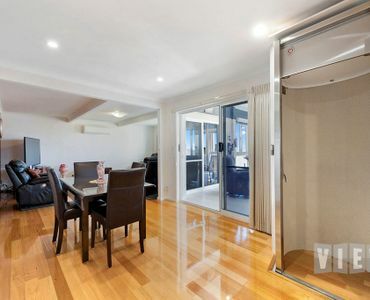 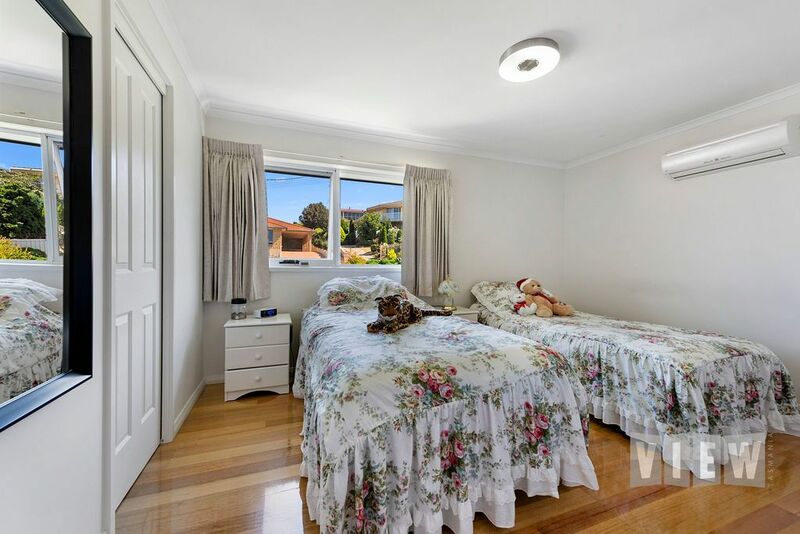 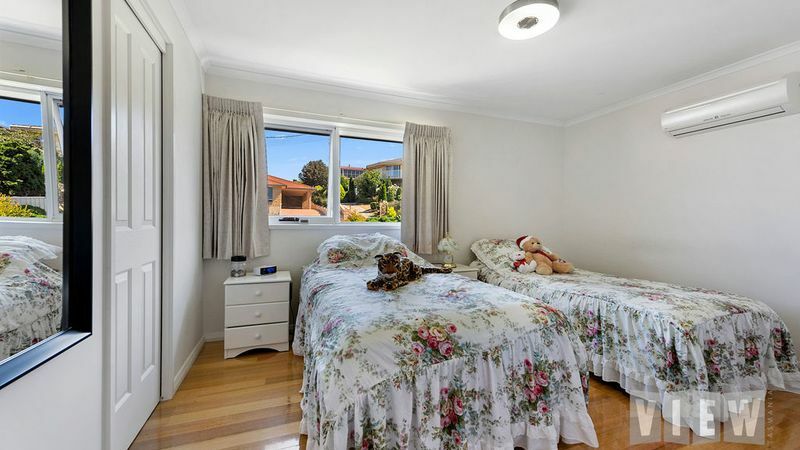 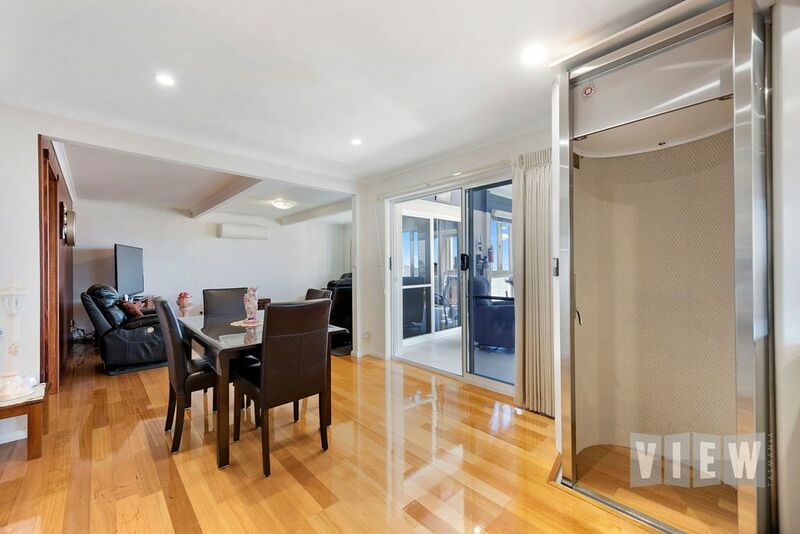 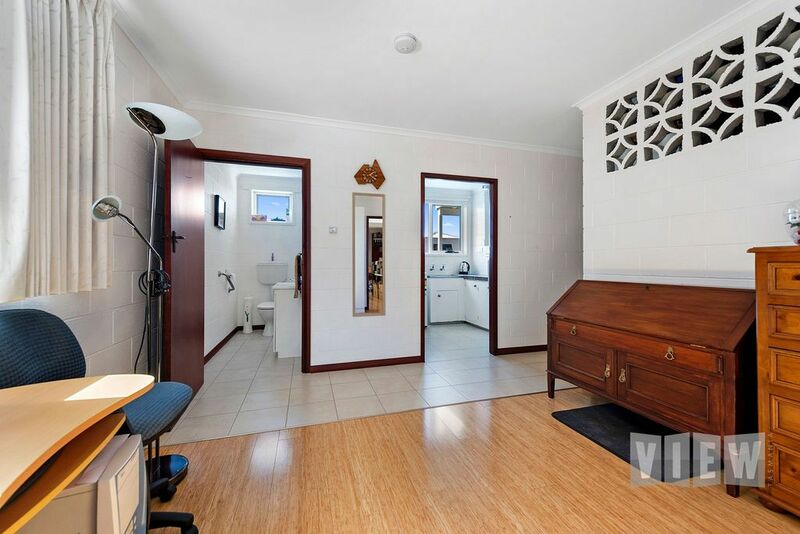 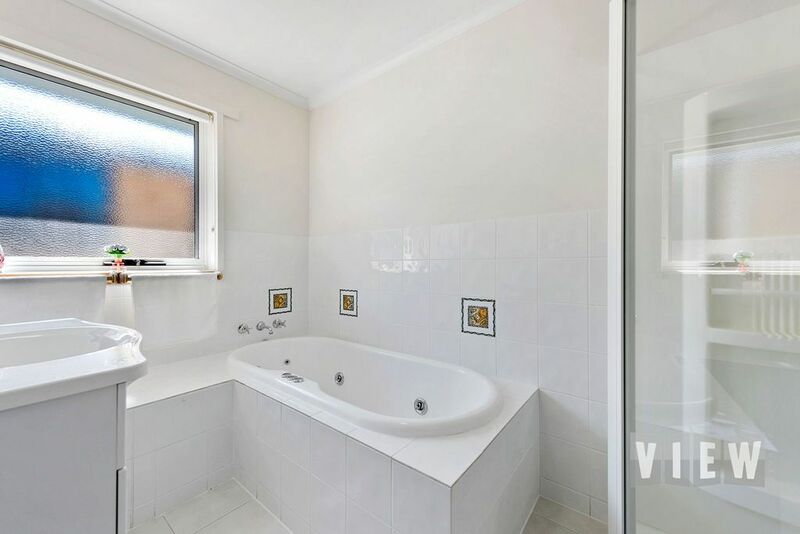 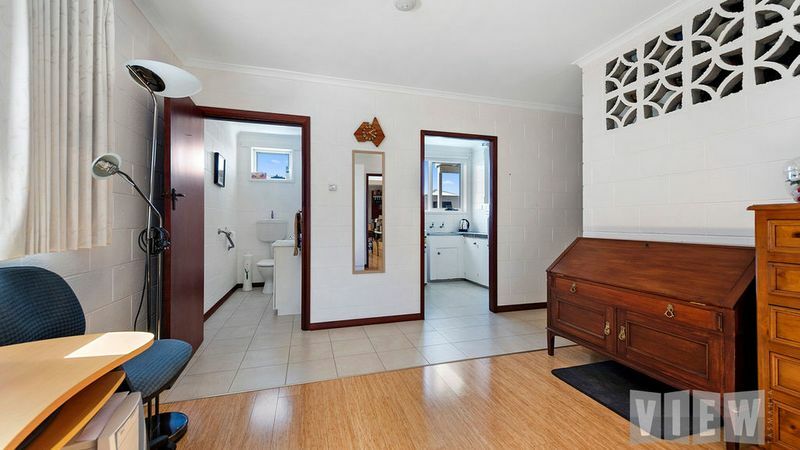 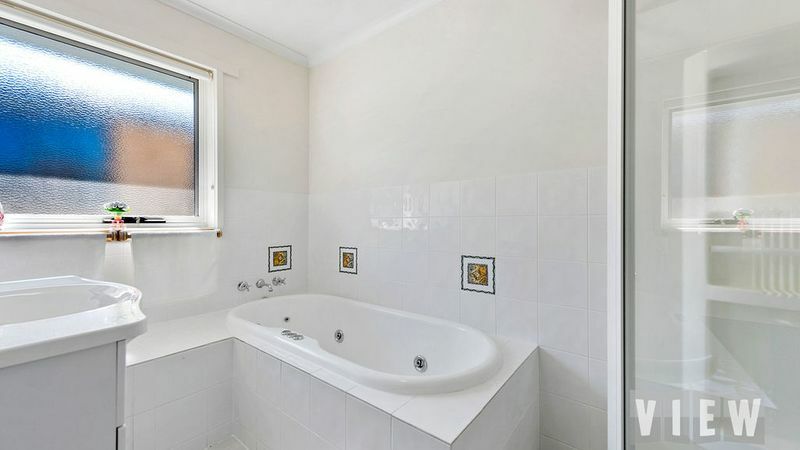 Downstairs the huge rumpus room takes care of the children’s entertainment space, there’s also an office/utility room, which could easily be used as a fourth bedroom, the separate toilet has a basin and the laundry has a separate shower. 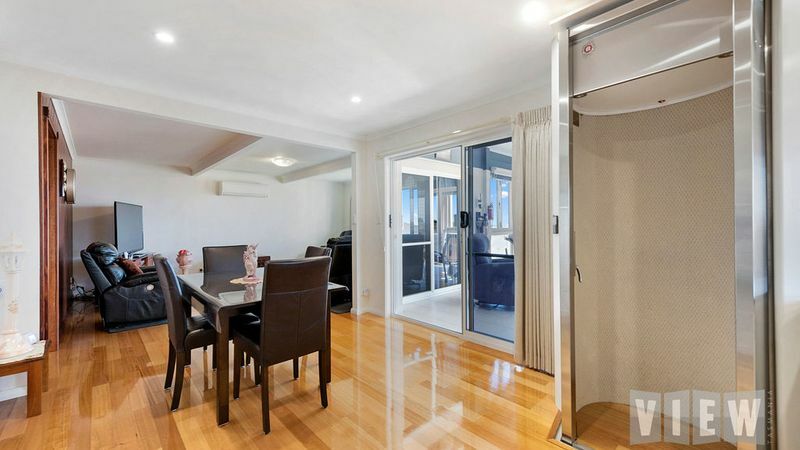 The single garage has a control-a-door, workspace, store room, internal access and an elevator/lift to the first floor. 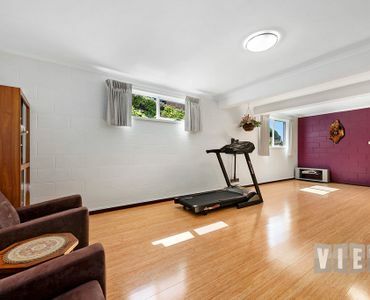 It is heated and cooled by three heat pumps/air conditioners over all. 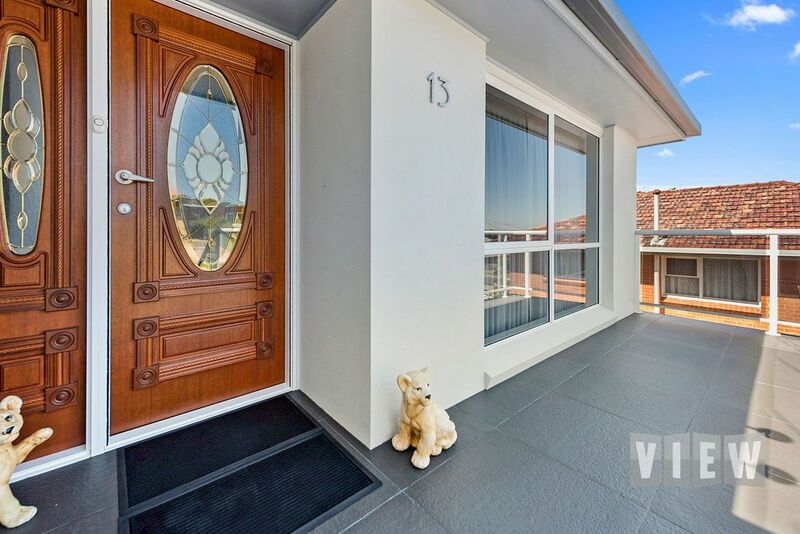 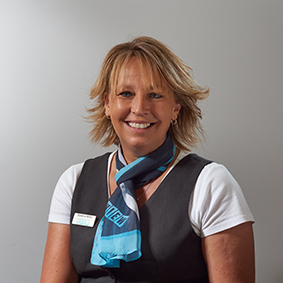 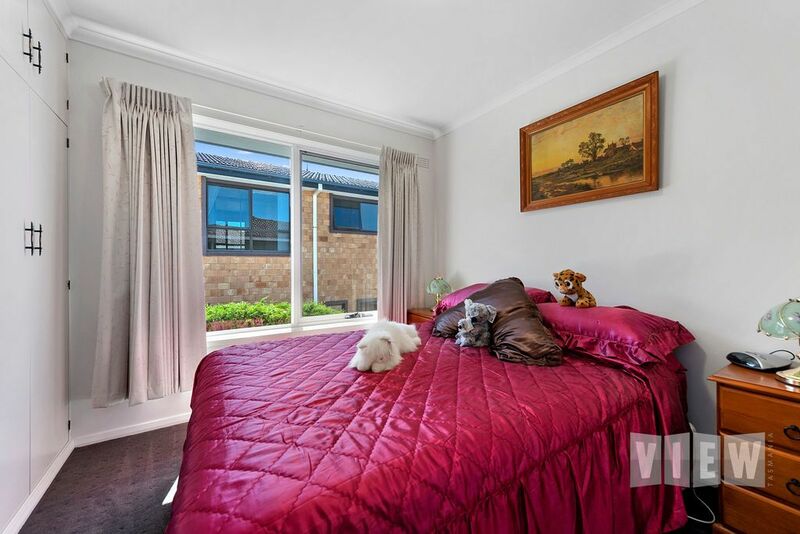 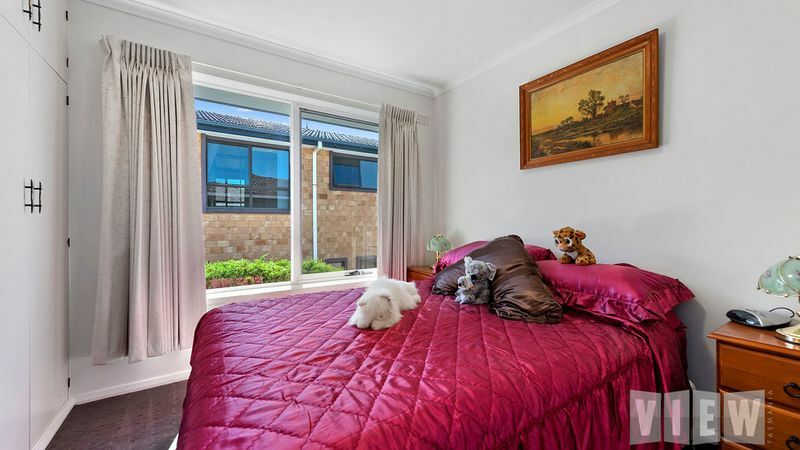 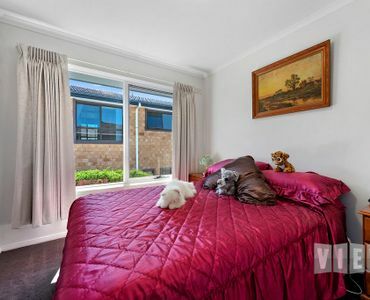 Outside you will find landscaped gardens and north facing secure backyard an undercover sitting area. 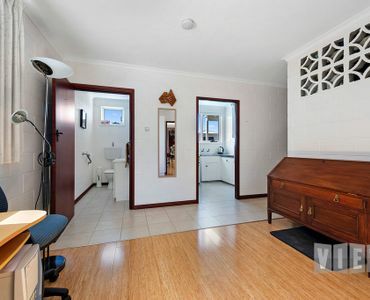 There is also plenty of room for the boat and or camper as well as your own vehicles. 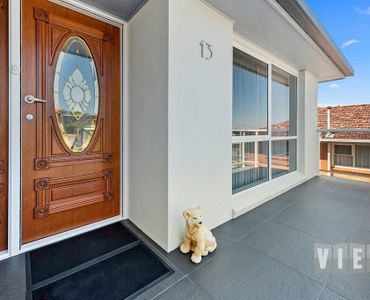 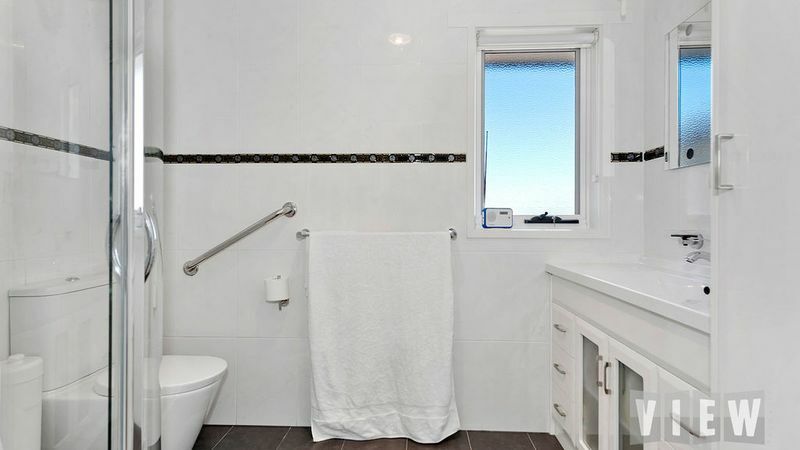 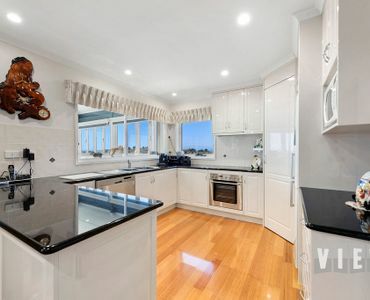 This home is very neat and tidy inside & out and will absolutely delight you whilst wandering through. 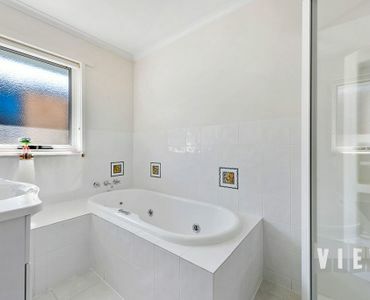 For your inspection please call us today. 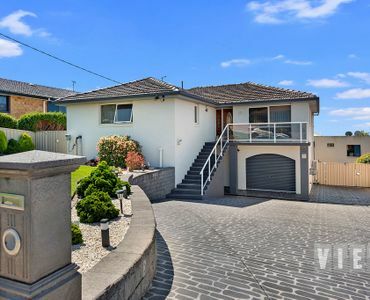 GREAT HOME, BUSINESS With LIFESTYLE. 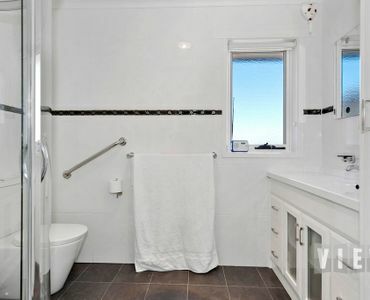 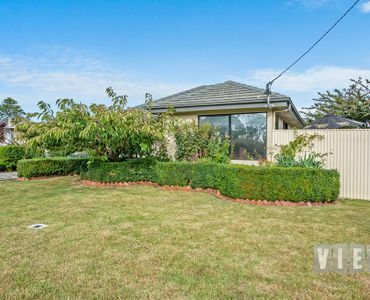 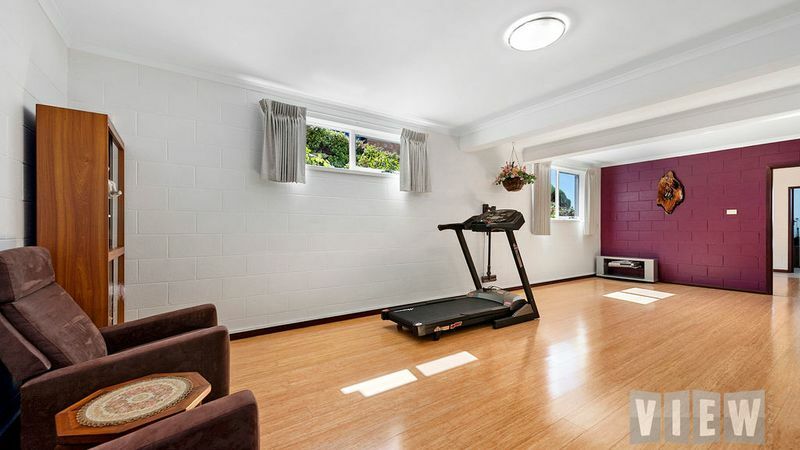 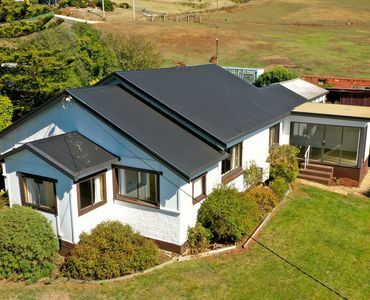 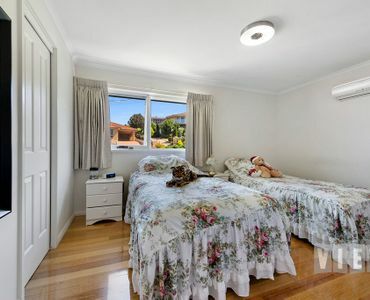 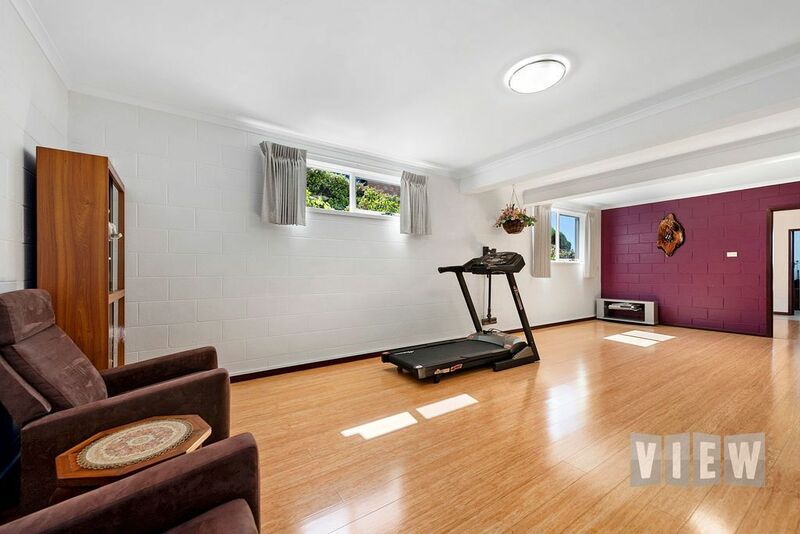 Large Family Home in a private location.